With the largest selection of cranes in the Ark-La-Tex region, five strategically located terminals, a staff of over 160 professionals, 1,000s of years of experience, and 30 years of service in the crane industry, Joyce Crane provides comprehensive heavy duty lifting and rigging services for projects large or small, from new construction to plant maintenance. It is the mission of Joyce Crane to meet and exceed the needs of its customers by providing superior service and safe heavy duty lifting and rigging solutions, performed by highly trained, certified operators, and backed by an industry-leading insurance lift policy. We proudly serve a wide diversity of industries and clients. Let the Joyce Crane team help you size up your project, define your lifting and rigging needs and prepare a competitive quote. At joyce crane, our most important objective is to provide our customers with extraordinary service. 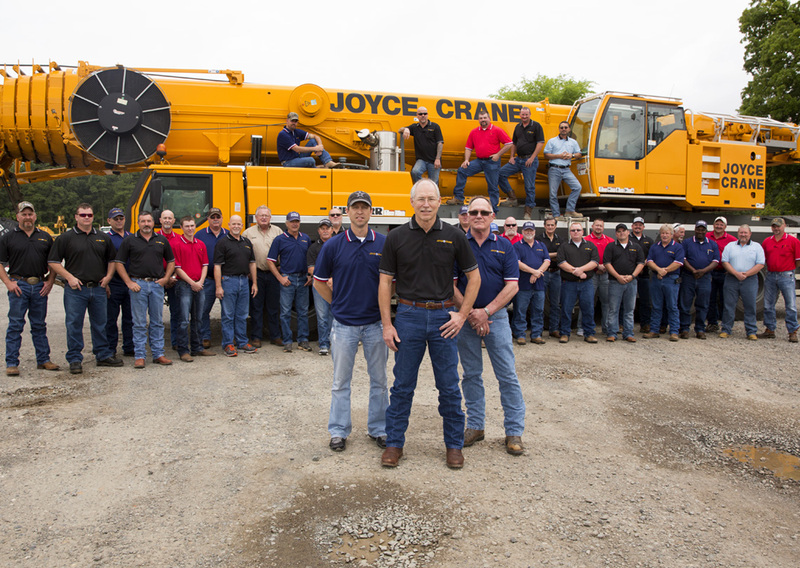 Joyce Crane got its start in heavy duty lifting on the ground floor in 1985 as a small, family-owned business, operating with a single crane. The company, founded by Joe Bob Joyce and headquartered in Longview, Texas, originally began as Joyce Steel Erection Ltd. In the first ten years of our operation, we saw our staff increase to 40 and our fleet of cranes to 15. It was during this time that the company went through a strategic realignment to move away from steel erection services and focus on cranes and rigging as our core business. Over the next twenty years, Joyce Crane has continued to grow and expand our market to better serve our developing customer base with the addition of four new terminals in Texas, Louisiana, and Arkansas. Now marking our 30th anniversary, Joyce Crane continues to be a respected and trusted industry leader with a reputation for superior safety and a tradition of service excellence. Still a family-owned and operated business, Joyce Crane remains dedicated to our mission, our customers and our efforts to achieve new heights in safety and service.